An inhabitatnt of our NE Indian Himalaya. Kindly click to view large and uncompressed image. Beautiful bird, love the colors and textures. Debapratim, Agree with Karl--Well done. 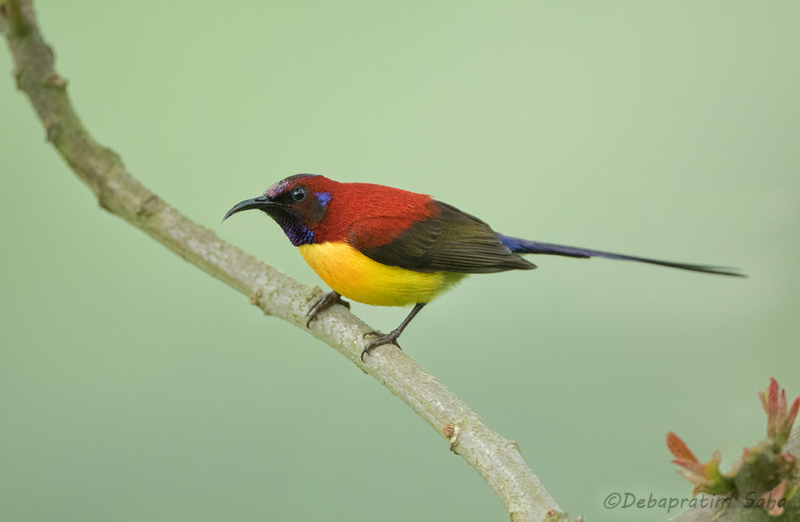 Beautiful, striking color on the sunbird, Debapratim. A lot to enjoy in large view, particularly the fine detail you captured. Lovely image! this is a good one the perfect perch and this colorful bird, WOW, but the little thing on the right as to go, just a suggested. Amazing, colorful bird-so well shown here. Nice composition with the curved branch. Excellent! A beautiful capture of this very striking species! Nice color variations on this bird.